Buddhism in Norway has existed since the beginning of the 1970s, and after the immigration from countries with Buddhist population (mainly Vietnam). 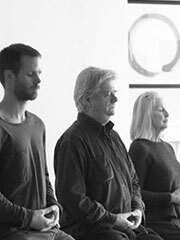 Buddhistforbundet (The Buddhist Organization) in Norway was established as a religious society in 1979 by two Buddhist groups (Rinzai Zen Senter and Karma Tashi Ling buddhistsenter) who wanted to create a common organization to preserve issues of common interest. Today, there are over 7000 registered Buddhists in Norway, but the total number of Buddhists living in Norway is over 14,000.